Today Acer is taking the wraps off of a couple of new products at CES 2017, and to start things off, Acer is unveiling some new gaming displays under their Predator brand. 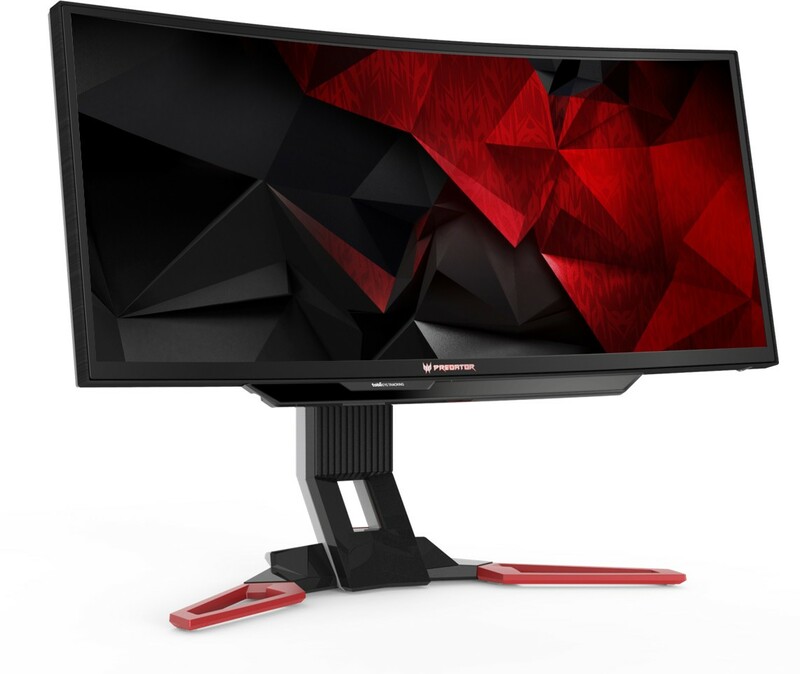 First is the 30-inch Acer Predator Z301CT, featuring a curved 21:9 panel with built-in eye tracking, and second is the Predator XB2 line, with 240 Hz refresh rate. Both models announced today feature Acer GameView technology, where you can toggle among three customizable display profiles without having to use the OSD menu, and the include features like dark boost, aim-point assistance, and the ability to select the on-screen refresh rate. They also feature Acer EyeProtect which has a blue-light filter, and ComfyView dimming. Acer is announcing the first 21:9 curved monitor with built-in Tobii eye tracking, in the Predator Z301CT. The ultrawide 21:9 display has a 1800R curvature, and 178° viewing angles. With a resolution of 2560x1080, it’s not going to set awards for display density at just 92 DPI, but features like a 200 Hz refresh rate should help them with their target market. The display also features NVIDIA G-SYNC, and two 3-Watt speakers with DTS Sound. The most interesting feature though is the built-in Tobii eye tracking, which is now supported in over 45 game titles according to Acer. Game sound and graphics will adjust based on where the player is looking, and eye tracking can also be used for after the fact training to see where you were looking when killed. The stand features swivel and tilt of -5° to 25°, as well as vertical adjustment of 4.7-inches. For those that prefer a monitor arm, the display also supports 100mmx100mm VESA mounting. The Z301CT features DisplayPort 1.2a, HDMI 1.4, and four USB ports, as well as audio output. Acer rates the display at 100% sRGB coverage, with a 300 nit brightness and 3000:1 contrast, although the contrast sound like it must be some sort of dynamic number. It is an 8-bit panel VA panel. The Z301CT will be available in February from $899.99, and in EMEA for €899. The second set of displays from Acer is actually two displays, with the XB25Q being a 24.5-inch model, and the XB272 a 27-inch version. 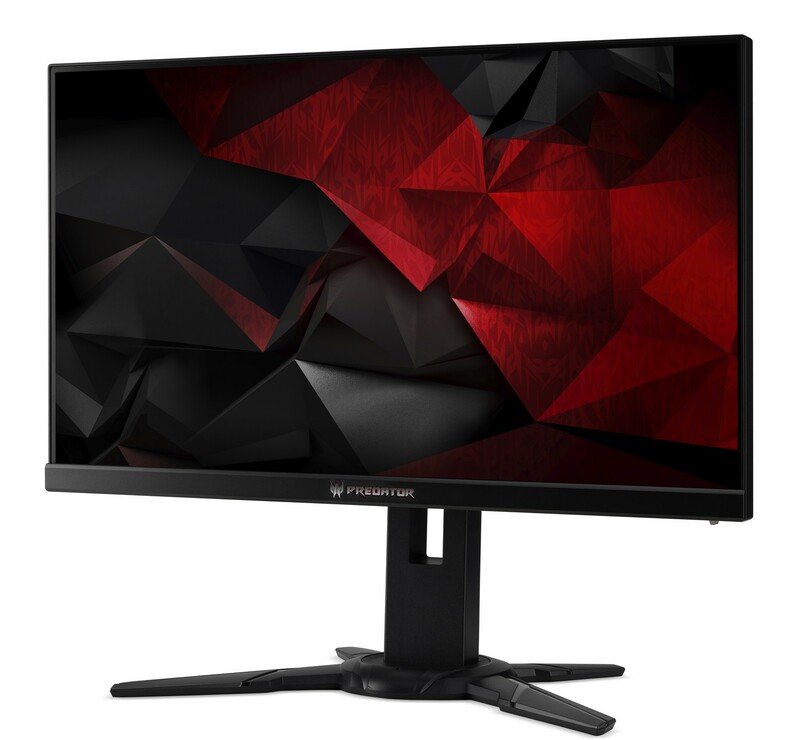 Both displays feature a 240 Hz refresh rate, along with NVIDIA G-SYNC and ULMB (Ultra Low Motion Blur). Both displays are 1920x1080 resolution TN panels, which isn’t unexpected at this sort of refresh rate. Acer claims 100% sRGB coverage though, and 1000:1 contrast, but both seem like best-case numbers. For input, there is DisplayPort 1.2, HDMI 1.4, and four USB ports, as well as audio output. The stand offers -5° to 20° tilt, 45° swivel, and 4.5 inches of height adjustment, along with a 90° pivot. The XB2 Series will be available in February for $549.99 for the 24.5-inch model, and $679.99 for the 27-inch model. "2560x1080? WHY? 2580x1080 at 31-32-34 inch displays doesn't makes sense." Ugh. These are disgusting resolutions (1080p and 1080p-ultrawide). And they are disgusting TN panels. "3000:1 contrast, although the contrast sound like it must be some sort of dynamic number. It is an 8-bit panel VA panel." I know you guys are super busy at CES, but if someone could put the specs into a table, it'd make these a lot easier to read. I LOVE the idea of a high contrast gaming panel. I've liked the ASUS PB328Q for a while due to it having a VA panel, greater than 1080p (1440p), greater than 60Hz (75Hz). 32" is a bit large for 1440p as well as fitting on my desk, but those aren't dealbreakers.